High Temperature Suitable for wiring on kilns, boilers, lighting and other high temperature applications and surfaces to 180°C. 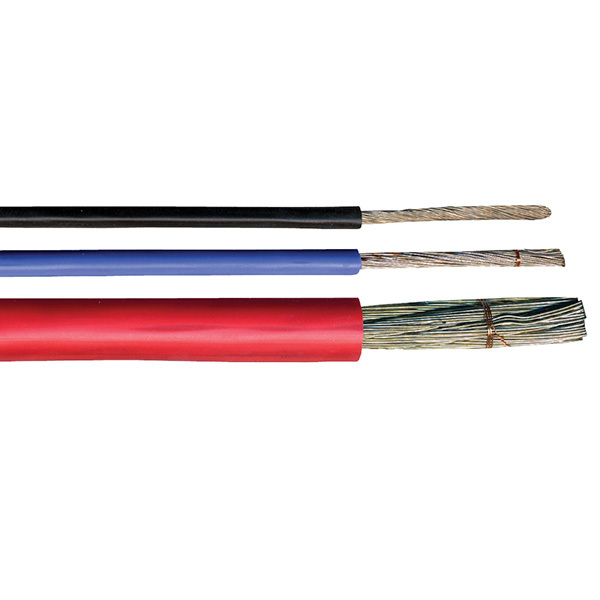 Low Temperature Used for wiring in industrial cool stores and freezers to -60°C. Power Suitable for wiring of public lighting in medical areas. Conductor Annealed tinned copper stranded high flexibility (Class 5). Operating Temperature Range Fixed -60°C to 180°C / Flexing -40°C to 180°C. Maximum Conductor Temperature 180°C (Current ratings are based on 30°C air temp. See technical section for de-rating factors). Minimum Bending Radius Fixed 4 x cable diameter / Flexing 7.5 x cable diameter. 0.5 to 4.0mm² – Black, Red, Blue, White, Green/Yellow, Brown, Grey. 6.0 to 16.0mm² – Black. 25.0mm² and above – Red, Black. Other colours subject to availability. Relevant Standards IEC 60332-1, IEC 60754-1, IEC 60228, VDE 0295, VDE 0282, VDE 0472, C E Directive 2006/95/EC, ROHS Compliant.